Initial reports indicated Kendrick Lamar was slated to contribute no more than a handful of songs for Marvel's Black Panther. A pithy offering to satisfy the direction Coogler, the film's director, wanted to take. However, rumors go that after witnessing the movie firsthand Lamar was moved to contribute more, culminating in the TDE-overloaded soundtrack we see today. It's tough to say, having not seen the movie and having no intention to, what capacity the similarities between the 14 tracks has. 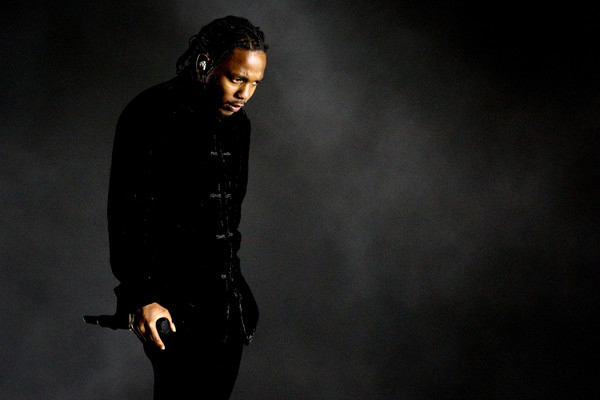 On the surface, if one were to ignore the fiery and impassioned title track that vivifies Black Panther, it would be difficult to notice any discernible plot points, as the plethora of artists go about their own path, with Lamar himself distancing from the goal with tracks like 'X' and 'Paramedic!' But underneath, clear symbols of black pride and empowerment seem to be the predominant benefactor, something Lamar's all too familiar with. If we're to believe Black Panther casts an obvious shadow over those themes of equality and revolution, then the accompanying Hip-Hop soundtrack does a wonderful job providing the necessary backbone. Lamar's commitment to this project cannot be understated, even if the misdirection given by the tracklist, in that he's only a listed feature on five of the 14 tracks, aims to do just that. In reality, K.Dot, in one capacity or another, appears on every single track but 'Bloody Waters,' a track already occupied by three heavy hitters in Ab-Soul, Anderson .Paak, and James Blake. Sure, his role on tracks like 'Redemption' or 'The Ways' may be relegated to back-up vocalist, sometimes emerging more proactively to abide by the script, as seen on 'Seasons,' but there's an equal amount where he grabs the throne and thrives. The textbook standout is 'Opps,' the second collaboration Lamar has had with Vince Staples and the Long Beach native's transformation into Hip House master. While not as abrasive or stunning as Big Fish Theory's 'Yeah Right,' the agro-House rhythms, in conjunction with capable flows and lyrics, continues to show promise for Hip-Hop's next evolution. Nothing else on Black Panther, especially those specifically designed to get listeners hype like the Trap of 'X' and 'Big Shot,' come close to the energy granted by the vision of Staples and Sounwave (the producer of 'Opps,' and many other tracks here). There is 'King's Dead' though, which rivals the banger for best track. Both Jay Rock, whose charisma has shown growth, and Lamar turn in stellar, tongue-twisting verses. However, despite an excellent, but sorely underutilized transition from James Blake, 'King's Dead' sours mid-track thanks to an unneeded verse from Future that shows exactly what happens when the Trap junkie experiments. It's not pretty. What is are the periodic R&B cuts from newcomers trying to prove their worth. Khalid does wonders with a rather contrived Trap/Alternative R&B crossover beat in 'The Ways,' Zacari branches out from his 'LOVE' typecast with an upbeat cabal in 'Redemption,' and Jorja Smith one-ups SZA at her own game with 'I Am.' All three of these vastly outperform 'All The Stars,' which features SZA idling by with no passion or purpose, while competing with current R&B king himself The Weeknd on closer 'Pray For Me,' a Starboy extra if I've ever heard one. The Doc McKinney production credit (executive producer of Starboy) all but confirms this. Infrequent mistakes aside, like 'All The Stars,' Lamar fumbling through the insipid 'Big Shot,' or the meandering 'Seasons,' Black Panther succeeds at making accessible music with a wide variety of styles, even if the movie itself is only seldom referenced.